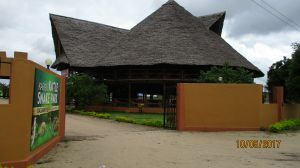 Beho beho hot springs are a collection of warm water pools located near lake Tagalala of Selous game reserve. Formed by water heated by volcanic activity miles underground, the hot springs offer a relaxing swim in thermal waters surrounded by the vast plains of the world's biggest game reserve. Beho beho gets its water from the beho beho hills nearby, and the pool's waters are not exaclty hot but rather warm, with higher temperatures being available during the drier seasons (July to December) when the river's flow is low. Trips to the pool are normally organised from one of the nearby hotels, taking a long a 4X4 safari and a short hike to get there. The Beho beho hot springs are located in a ravine that gets its water from the nearby Beho beho hills and flows into lake Tagalala. The hot springs are surrounded by thriving lush green vegetation, with trees every where giving the whole area shade and a layer of undergrowth making parts not on the prepared path impassable. 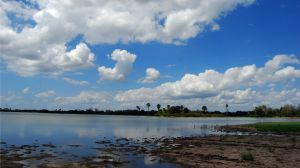 Most trips to the area are accompanied with a boating safari on lake Tagalala nearby. Are you associated with Beho Beho hot spring? Contact us to improve this page or create another page for your business.